With Britain set to launch the formal process of its exit from the EU on Wednesday, a prominent British entrepreneur has said that a joint working group of officials from both countries is working on an India-UK free trade agreement to be signed once it exits the EU in two years time. 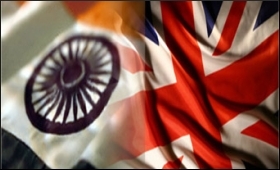 "One of the very important steps forward of Theresa May's (India) visit last November was that we now have a government-to-government working group with the Commerce Secretary and the International Trade Secretary in charge that is looking at the totality of the relationship," Patricia Hewitt, Chair UK-India Business Council, told BTVi in an interview. "What I found since the referendum is the great enthusiasm on the part of India's political and business leaders as well as Britain's political and business leaders, for...it may be a free trade agreement...perhaps more accurately a comprehensive economic partnership. This was discussed further during Finance Minister Arun Jaitley's very successful visit to London recently," she said. "And the aim there is not only to identify things that both governments could act on immediately even before Brexit actually happens, but also to lay the groundwork for a more formal agreement..a bilateral agreement that could happen once the UK actually leaves the European Union," she added. British Prime Minister Theresa May plans to trigger Article 50 - the step that starts the process of negotiations for Britain's formal exit from the EU - on Wednesday. There is consequent uncertainty over what will happen once Britain leaves the EU because it needs to make new trade agreements with the rest of the world. Indian Commerce Minister Nirmala Sitharaman had announced this joint working group last year following talks here with UK's then Secretary of State for International Trade Liam Fox after Britain voted in a referendum to exit the EU. Sitharaman said formal talks on a bilateral free trade agreement could only begin once the UK formally exited the EU. Bilateral trade between the two countries stood at $14 billion in 2015-16, as compared to $14.33 billion in 2014-15.